La increíble playa navagio, Zakynthos. Nice little getaway town on Zakinthos island, known for its Shipwreck beach but lots of locals come here to relax in summer also. The capital of Zakynthos, Zákynthos, is inhabited by more than half of the population living on the island. The town is small but has all the comforts: in summer it is crowded and the night life is considered among the best in Greece, to the point that it has been renamed "the little Vegas", especially in the areas of Laganos and Argassi. The capital is famous for being the birthplace of Ugo Foscolo, who dedicated the sonnet "Zakynthos" to the island, the birthplace of Foscolo was destroyed and a statue was placed in its place. 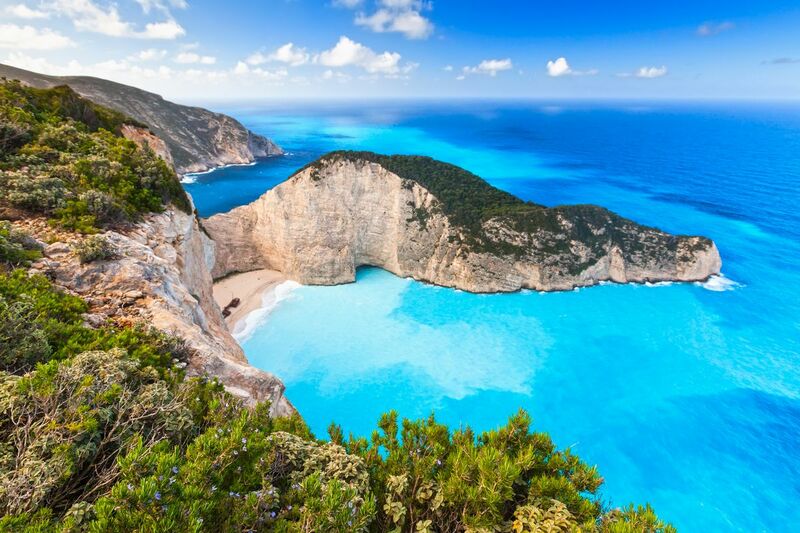 Spelled Zakynthos this a very colorful and friendly Greek island. Spent the morning meeting and talking with locals and shopkeepers. Zak town is a bustling, thriving cosmopolitan town with boutique shops, tavernas and plenty of activities for all the family. A must do place to visit on your holiday.